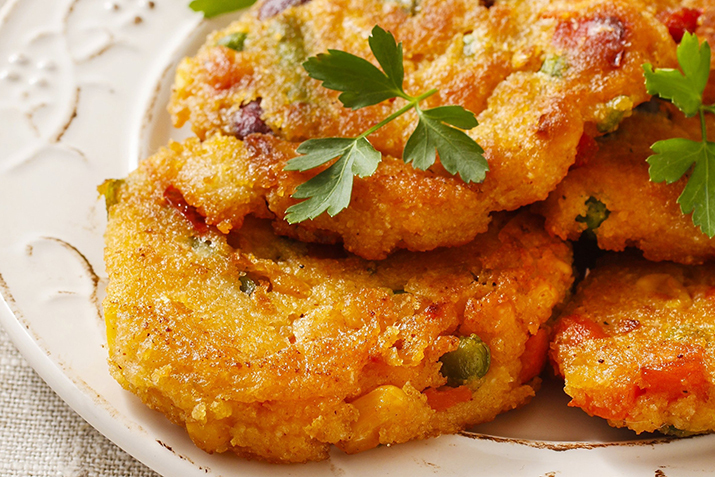 A fabulous side to your favorite Southwestern fare, these lightly browned corn cakes do double duty as an appetizer. Thaw or drain corn kernels. In a large mixing bowl, blend together all of the ingredients except the vegetable oil and avocado.